The majority of clients who approach me to enquire about my services have not engaged with a counsellor before. They are unsure about the counselling process and what counselling involves. 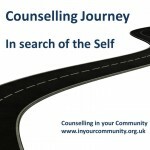 I thought it would be useful to share how I run my counselling service and how I guide a client during their counselling journey. When a client initially contacts me, I carry out a quick assessment over the telephone, skype or email. This ensures that I feel competent to work with the issue being presented by the client. I feel this is important to my work to ensure that I work within my own competencies as expressed in the British Association Counselling and Psychotherapy (BACP) Ethical Framework. If a client presents an issue that I am not trained in (for example, personality disorder), I will refer them on to counsellors that I know within my counselling network. With this initial contact the client and I will agree on a suitable time. I ensure the client knows where my practice is based in Sheffield and they are able to find it. I email or post the client my terms and conditions (for example, payment, record keeping and cancellation policy) and the complaints procedure. This ensures that I maintain quality of care for my clients and ensures that I reflect my responsibilities to the BACP Ethical Framework. As I am in private practice, I prefer my clients to have a copy of my contract before our first session to ensure that the client’s autonomy is maintained and they are clear about the counselling they are about to undertake. The contracting phrase of the relationship establishes a sound, professional, ethical and bounded relationship which the Ethical Framework seeks to promote. Informing the client beforehand also allows the first session to be focused on my person-centred way of working and ensures that the session is all non-directive, so I can build upon a positive, firm foundation for a trusting counselling relationship. When a client arrives they are welcomed by the team at Wainwright Therapy Centre and I collect the client from reception and we go into the room. Before we start any therapeutic work, I set the boundaries and expectations by explaining about me, my background. My counselling is based on the client and I build a trusting relationship to enable the client feel heard and understood. My work is informed by the BACP Ethical Framework so I emphasise my use of the Ethical Framework so that client know they can trust me to honour our agreement and keep confidentiality. This ensures we maintain professional boundaries, I promote the client’s autonomy and I protect the client. I briefly explain my belief that my clients often have the answers within themselves, but if they need guidance, I may use a variety of approaches to help them. I maintain my client’s autonomy by reassuring them that they can cancel at any time and are not obliged to continue after my initial assessment. I ensure the client understand what I have said and are happy to continue with the assessment process. Working with the client in an attentive, responsive and respectful way helps them to feel safe and trusted. Confidential, trusting space allows the client to openly bring their issues. The client will take the lead to enable me to enter their world and help me understand it from their point of view. Before the first session ended, I always make sure that the client knows that we only have ten minutes left to enable them to think about how the session will be concluded. The client and I will agree on what the next few sessions will focus on and we agree a number of sessions the client feels will be beneficial to them. During our counselling journey, I ensure that the client and I continually review this focus to ensure that the client feels they are making progress or to see if the client wishes to change the direction or number of sessions. The middle part of a clients counselling journey is the biggest and hardest part. To find out more about my counselling approach and how I work with my clients, refer to my blog article about integrative counselling. If the client and I agree eight sessions, on the fifth or sixth session I begin to talk about endings with them and I help them review their sessions. Endings are an important part of my counselling process so I always allow enough time for the client to prepare for it. I encourage clients to reflect on our ending and to think about how they will manage their emotions after our sessions. Usually if a client is restricted to a short number of sessions, I will give clients an ending form to help them with their reflection. This form is a directive approach of allowing the client to reflect on our sessions and think about coping strategies they need to put in place to allow an appropriate end for short-term counselling.